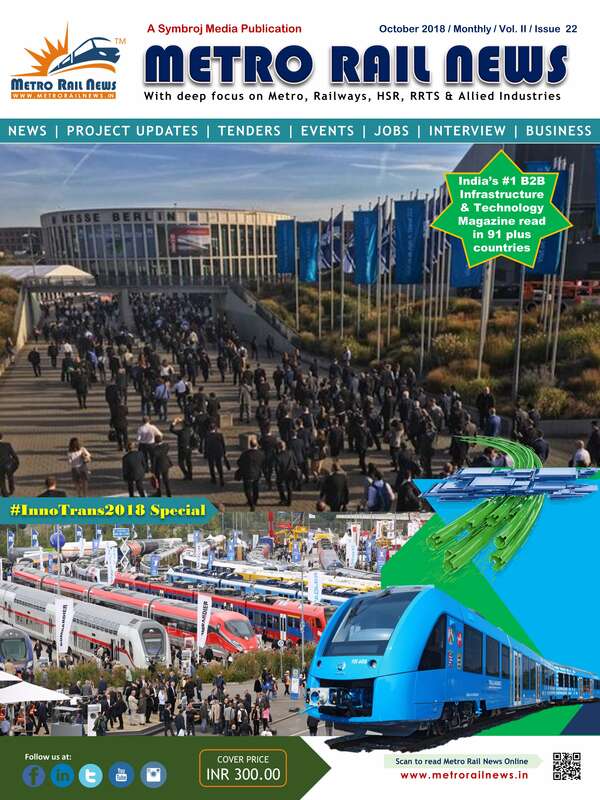 InnoTrans Special - Metro Rail News Magazine October 2018 Issue out ! Home Miscellaneous Books & Magazines InnoTrans Special | Metro Rail News Magazine October 2018 Issue out ! Read the latest technology updates being used in Metro & Railways Sectors in India and the world. Hyderabad Metro Rail became the Country’s second largest network after Delhi (Editor’s Desk).